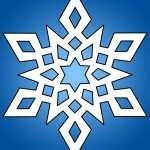 Unitarian Universalist Society: East Photo Directory! Do you ever see people at church and wonder what their names are? or hear an announcement and wish you could put a face with a name? Contact the Unitarian Universalist Society : East office to obtain your copy* at uuseoffice@uuse.org or call 860-643-8765.